North China, East Hebei District, 1948, 2nd ovpt. 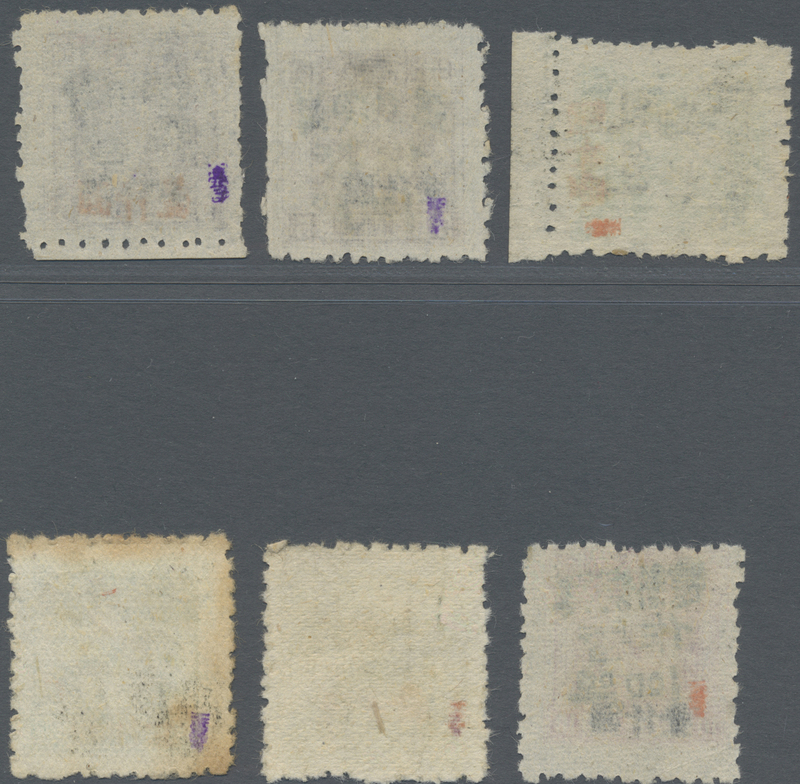 "1000 yuan" hand ovpt. $1.000/$100/$2 - $1.000/$100/$30, cpl. 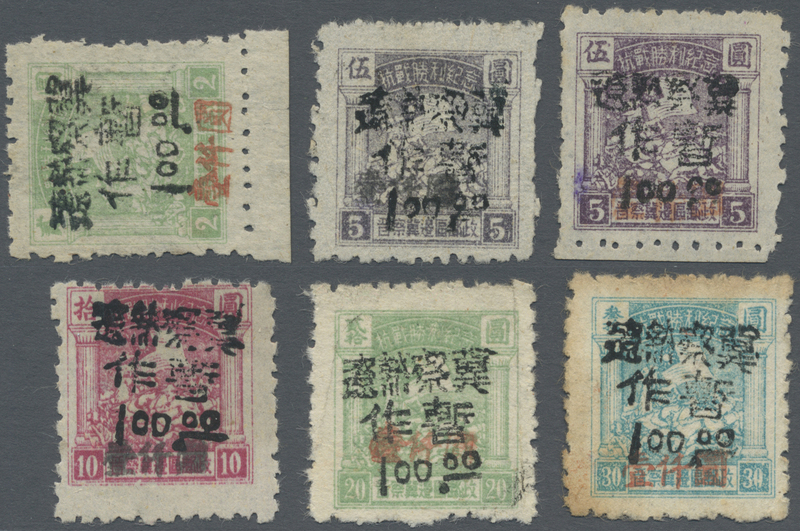 set of 6, unused no gum as issued, fine to very fine ($1.000/$100/$30 with some toning), a very rare and beautiful set, only few complete sets existing (Yang NC99-104).